Billions of people around the world rely on seafood for nutrition and livelihoods, but we are taking more from the oceans than can be replaced. This has serious impacts. As the global population and the demand for seafood grows, it will only become more difficult for communities around the world to have access to seafood. What we put on our plate matters – tremendously. That’s why, as a chef, I have a responsibility to help shift fishing and farming practices and avoid the depletion of this important resource. 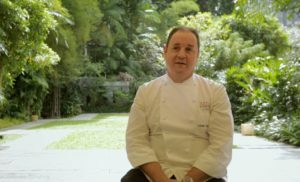 As the Director of Culinary Operations at Grand Hyatt Singapore we have learned a lot about how we can use our purchasing power to promote sustainable seafood. And while Hyatt is applying these lessons at its hotels around the world, this information can also help our competitors shift their procurement to make an industry-wide impact. Indeed, when it comes to protecting oceans, we’re all in this together. In that spirit, here’s my advice to my colleagues and peers. Engage and educate. When I first started talking to people about the sustainability of our oceans, I realized I was part of the problem and not part of the solution. I recognized how much more my colleagues and I needed to know to make a change. I reached out to World Wildlife Fund (WWF) and other marine experts to help us better understand the state of the world’s fisheries, opening educational events at the hotel to not just to kitchen and food and beverage colleagues but to the entire hotel team. This helped generate not just awareness but also genuine interest and excitement. People are motivated by work with purpose, and it’s a relevant topic to anyone who eats seafood. Define your goals. Wanting to be part of the solution is the first step, but then it’s necessary to figure out how. As part of this step, determining which seafood is sustainable is important. Ultimately, Hyatt developed seafood goals with WWF, and focused on increasing seafood from fisheries and farms that are certified by the Marine Stewardship Council and the Aquaculture Stewardship Council, respectively, or were working toward meeting those standards. By supporting fisheries and farms comprehensively working to improve against those standards, we can help increase the availability of more sustainable, responsible and traceable product. Know what you are buying and simplify. After taking stock of exactly what was coming into the hotel, we realized we were buying over 600 seafood items at any given time, a large number even for a hotel the size of Grand Hyatt Singapore. We brought that number down to fewer than 100 by removing unnecessary and redundant items. And while it took us years to reach this level, it dramatically facilitated progress because it was easier to manage costs and created stronger relationships with suppliers who were willing to take this journey with us. Manage your overall costs. Find ways to create value and increase the sustainability and quality of the seafood you are buying by managing your overall costs. Utilize economies of scale through having fewer products and greater volume through select suppliers, adjust portions to what makes sense for the menu and the plate, look for opportunities to consolidate purchasing with sister hotels, and when applicable, reduce costs in another area – like tackling overproduction for banquets – to address potential premiums for sustainable seafood. There are avenues to buy more sustainable products without compromising your menu. Avoid endangered species. Some species just simply need more time to recover from historic overfishing. 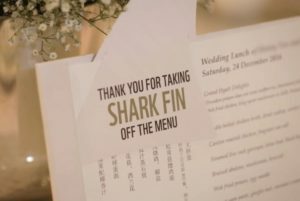 Hyatt globally is working to address endangered species on our menus and has banned shark fin from all properties. 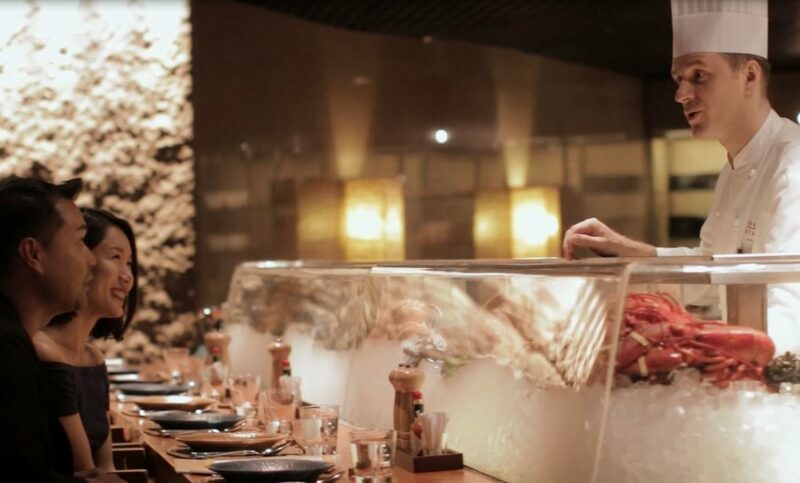 At Grand Hyatt Singapore, we have been working diligently to address other endangered species and have also removed popular but overfished seafood like bluefin tuna from our menus. Some endangered species are culturally important in many regions, but ultimately, we found that our customers, colleagues and owners embraced the shift. Determine your seafood’s origins. You cannot truly buy sustainably if you don’t know where your seafood comes from. It is estimated that nearly one in three seafood items is mislabeled, and one in five seafood items was sourced from illegal, unregulated and unreported (IUU) sources. Traceability is critical to addressing these issues. 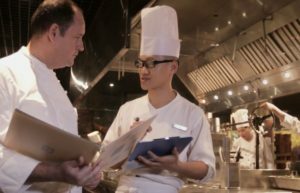 At Grand Hyatt Singapore, we work closely with our suppliers to track the origins of our products. 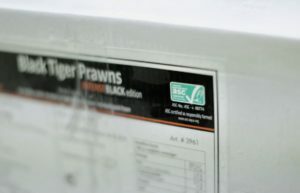 We were also one of the first hotels in Asia to obtain MSC and ASC Chain of Custody certification – a traceability and segregation standard that enables us to demonstrate to our customers that our hotel and our suppliers can track MSC and ASC certified product back to the fishery or farm, respectively. The more restaurants, suppliers, and guests get involved, the broader impact we can make. While we have collectively come a long way, there’s still a lot of work to do. Fortunately, our experiences engaging our colleagues, customers, suppliers, property owners and more have been exceedingly positive. There is wide and growing recognition that we must protect our planet and its natural resources if we want our children and grandchildren to continue enjoying these gifts from the sea. For more detailed information on this process, please see Hyatt’s guide “Steps to More Sustainable Seafood”. Chef Lucas Glanville is the Director of Culinary Operations at Grand Hyatt Singapore and South East Asia. Since 2012 Hyatt and WWF have been working together to assess and improve the sustainability of seafood procured through the hotelier’s global supply chain.